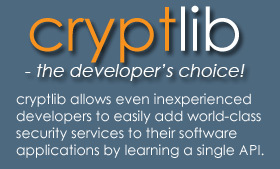 The cryptlib security software was originally written by Digital Data Security Limited (DDS) founder Dr Peter Gutmann as part of his Ph.D thesis at Auckland University in the mid-1990’s, and subsequently commercialised. The cryptlib software intellectual property rights are fully owned by DDS, a private, New Zealand-based and registered limited liability company that has been trading successfully for over 20 years. Dr Gutmann has spent some time at the IBM Laboratories, Watson Research Center in Hawthorne, NY. Peter has published a significant number of scientific papers on software security, and is widely regarded in the field. He is sought after as a speaker at various international conventions and conferences.